What are we prepared to lose? When discussing the need for shark nets, the obvious reason of human protection seems to be followed a second later by tourism protection. 50 years ago in Byron we killed a marine creature in the name of economy and jobs. Now, it seems many other marine creatures will be killed for the same reason. 50 years ago in Byron we killed a marine creature in the name of the economy and jobs. Now, it seems it many other marine creatures will be killed for the same reason. The push to put shark nets through our marine park comes from a predictable emotional survival mode response. However, knowing that this will undoubtedly kill marine life and justifying it in part as a need to protect tourism brings to the fore one question-how much of our community’s values, spirit and integrity are we prepared to sacrifice to keep the tourism dollar flowing? Perhaps we haven’t progressed as much as a society as would like to think. Of course jobs, careers and economic security is vital for us, that really goes without staying, however, this latest unscientific and reactive response again highlights to need for us to future proof our region by developing other industries and economic streams so we depend on tourism less and grow industries that reflect who we are more. Supporting our creative industries, developing agriculture and food and textile production, innovating in areas of waste, transport and energy-this is the way to create careers, create an adaptive and resilient community and create an economy that reflects who we are. 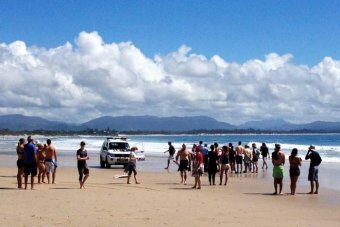 The Byron Shire Mayor says despite Byron Bay’s history of shark attacks, the council is being left out of shark solution meetings. Reports are circulating today that the New South Wales government cabinet will consider a list of shark deterrent and detection methods. Councillor Simon Richardson said he’d like the government to consult with the council but that’s not been happening. “There hasn’t been a fantastic track record of governments from Macquarie Street really understanding the sensibility and the integrity of the Byron community so it wouldn’t be the first time that they told us what to do to rather than asking us what we can do,” Councillor Richardson said. He said the council had been excluded from state department and local shark briefings. “We found out after writing to the minister that the Ballina group was getting that briefing, we were given three hours’ notice that briefing was on, and I had to write two or three times demanding representation,” he said. He believes the Byron community deserves more respect, particularly in light of the data the Byron Shire Council has been gathering from its own shark surveillance efforts. A spokeswoman for the Minister for Primary Industries told the ABC the Government was still considering the outcomes of the shark summit and the independent review and that an announcement would be made in due course. The meeting, set up by surfer-premier Mike Baird will see experts from as far afield as the US and South Africa making presentations on a range of non-lethal shark mitigation methods. The summit will also examine the results of the recently completed independent review into shark deterrent technologies. ‘The summit outcomes will be presented to the Ballina Shark Mitigation Working Group but I’m putting out the call that the north coast should be one of the areas where new technology options are trialled,’ Ms Smith said. ‘The summit information may also provide valuable information to the current parliamentary inquiry I am sitting on into the management of sharks in NSW. ‘It is important to note that there remains political consensus that culling sharks is not the answer and culling and shark nets are not part of the discussion when it comes to any shark management trials. Her comments fall closely on the heels of an independent survey in which more than 80 per cent of Ballina and Byron shire residents interviewed said they did not want to see lethal shark deterrence methods used in our waters. Sydney University’s Dr Christopher Neff, who conducted the survey, said that in the three years he had been working in the field of shark deterrence, he failed to find public sentiment for lethal methods such as culls and drumlines that matched the political rhetoric. That experience was replicated again when he surveyed Ballina electorate residents following this year’s spate of shark attacks and shark sightings, and Dr Neff said the results were conclusive. ‘The public… specifically don’t want methods that kill sharks,’ he told local media. Dr Neff’s research involved random surveys of 500 residents in the region, surveys of 100 businesses and 100 Ballina beachgoers. The question was: ‘when shark bites happen, how do you think NSW government should respond’. The first response was more research, the second was implementation of non-lethal methods and the third, from a smaller percentage, was installing shark nets. ‘The data showed that people are absolutely concerned but they did not believe that killing sharks was the answer,’ Dr Neff told ABC radio. In the survey, a remarkable 83 per cent of people opposed using lethal methods. In addition, 55 per cent of people surveyed believed shark bites were usually accidental, not intentional. Dr Neff said he was hopeful that lessons would be learnt from today’s summit but warned there would be no quick fix solution. 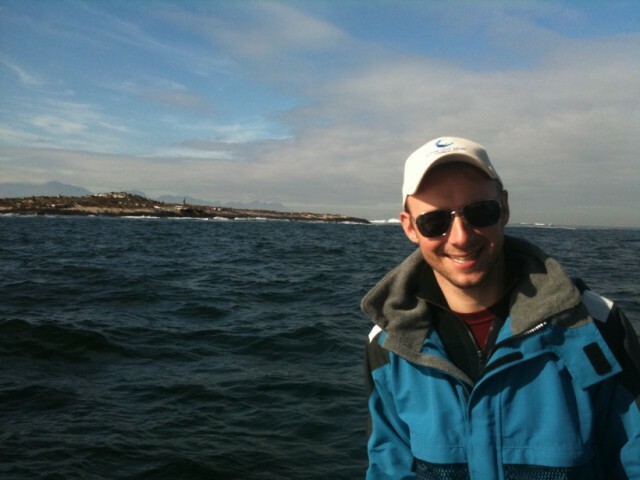 He added that the waters in Cape Town, which has a similar problem with great whites, were very different to the north coast, with clear water and steep cliffs making shark spotting much easier. Dr Neff said Australia needed a plan for shark awareness like we have for encountering brown snakes in the bush and in Queensland waters where surfers wear stinger suits during the summer season. Meanwhile Byron Shire Council is trialling aerial surveillance from a low-flying gyrocopter during the final days of the school holidays this week. The spotter chopper will be in addition to the once-daily flyover by a Lismore-based fixed-wing aircraft. Weather permitting, the flights start from 10am through until 4pm and provide instant shark sighting reports radioed back to local lifeguards. ‘The reports will include photos, location, movement direction, size and shark species where possible. Plus, we are also endeavouring to have a lifeguard on board the flights to assist with the communications,’ Byron mayor Simon Richardson said. Mayor Richardson said the council-funded service was being provided by a local operator who specialises in gyrocopters. ‘The small open-cockpit helicopter can easily cover wide areas without the need to refuel for about 4.5 hours. And they have the ability to move as slow as 20 knots, at heights as low as 300 feet. ‘With the ability to move slow and low, the aircraft offer a unique ability to observe what is happening out in the water and alert the lifeguards who in turn will alert beach goers. ‘Hopefully over the next week we can learn a bit more about what is happening in our oceans and help alleviate some concern for residents and visitors,’ Cr Richardson said. The recent deaths and serious attacks from shark attacks were tragic and my heartfelt condolences and thoughts go the victims and their families. If these moments teach us anything, it is that we need to understand sharks far better, we need to be aware of their presence far quicker and we need to find ways to live alongside them with far more commitment.How often have we regretted making a decision or taking an action based on anger, fear or vengeance? How much better have our decisions been when made calmly, with logic and evidence? When faced with genuine fear of the unknown, we instinctively and naturally move into flight or fight mode. However, though understandable, when responding to the instinctual fear of sharks, we would be better served to collectively move above this to seek a third option- co-existance. Leaving the water for good is not an option, nor is killing an important endangered species. I am working to connect locals and global shark experts to see if we can find a way to dissolve our biggest fear- the fear of not knowing where sharks are. If we can create a system that informs us when a shark comes into an area where we are swimming or surfing, we can then make a considered response: go and have a look, leave the water until it leaves, or move it on so we can continue to stay in the water.The recently released 2014-15 NSW shark meshing performance report has found that 77% (145) animals caught in the nets were either, threatened, protected and/or non-target animals. [http://www.dpi.nsw.gov.au/__data/assets/pdf_file/0007/571750/shark-meshing-bather-protection-program-2014-15-annual-performance-report.pdf]Byron Bay is located within a Marine Park and it is a significant part of our natural attraction. I don’t believe that netting or culling is the answer. Let’s work with shark researchers and Department of Primary Industries to find out more about what is going on. What are the reasons we appear to have an increased shark population visiting our coastline? Is it just temporary issue?The state government announced $100,000 at the beginning of 2015 and I’m pleased regional areas are now part of the program.In the meantime, I urge locals and visitors to report shark sightings to lifeguards on duty who can assist with informing other beach-goers. Main Beach Byron Bay is very fortunate that it is patrolled by professional and volunteer lifeguards all year round. 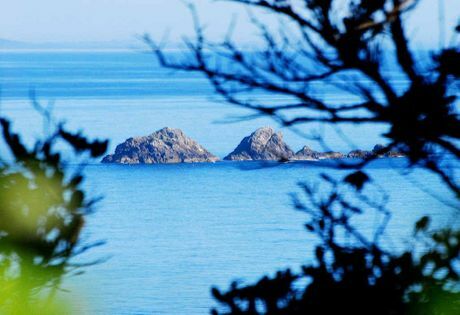 Julian Rocks, centre of a major sanctuary zone in the Cape Byron Marine Park. BYRON Shire Mayor Simon Richardson will use the next council meeting to urge his fellow councillors to protest against recreational fishing in sanctuary zones in the Cape Byron Marine Park. In a mayoral minute, Cr Richardson asked the council to write to the NSW Premier Barry O’Farrell, Byron MP Don Page, and Fisheries and Environment and Heritage ministers to express concern over the review of the NSW marine parks. The letter to the MPs would ask them to recognise the benefits the Cape Byron Marine Park and sanctuaries provided the economy in the Byron Shire.In his notes, the mayor said 222 marine scientists stated the NSW marine parks network would be undermined by moves to allow recreational fishing in sanctuary zones. The mayor wrote that a deal with the Shooters and Fishers Party appeared to be the motivation behind the review. Sanctuary, sanctuary, sanctuary let the Sharks swim free, they like all the other marine creatures have to put up with our effluence, have to put up withhaving their fins chopped off and thrown back into the ocean finless- (by the 10s of thousands) by the obese species with two legs, and have to put up with having their food supply decimated. Epiphanies are needed here, when will those vote greedy poliitians look after the land and sea they serve, as well as the people, and have their consciences prevent such idiocy. If I was eaten by a shark, I expect it would be a better fate than eaten by cancer, or intestinal parasites. Shark nets are stupid, barbaric and any seriously contemplating them need to wake up, or be woken up.